I don’t know the answer for every application of that question. 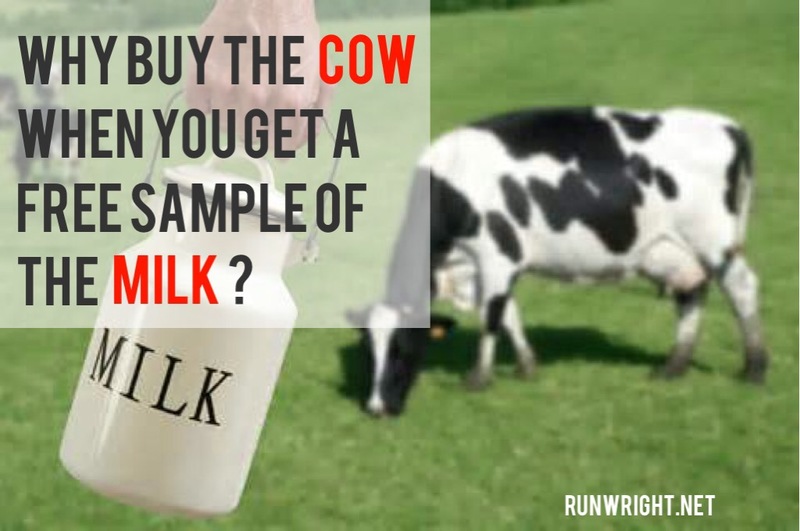 But in this case, the farmer is giving away free samples, and I think you should at least taste the milk and see if you like it, right? Yesterday I posted about how I have difficulty sometimes achieving the goals I’ve set for myself – I think about things I want to do, I have good intentions to make some changes but at the end of the day, I realize I haven’t checked them off my To-Do list and they just keep piling on until I’m overwhelmed, I’m tired of them and I start something else. That was before. On Sunday, I was sufficiently motivated to start a 30 Day Intentional Living course with John C. Maxwell, to help me shift my focus so I can move from good intentions to good actions. Everyone doesn’t need the same things so the same plans might not work for everyone but if you’re willing to try a 7 day offer, where you get a short 4 minute video and some strategies to implement during the day to make your interactions more significant, then I think it’s worth a try. If you sign up, I’d love to hear your experience – I hope you find the program as useful as I am discovering it to be already even though I am only on Day 3 today. Sometimes at the grocery store, you enjoy the free samples so much that you buy the product and take it home so you can enjoy the whole meal and share the experience with your family. Sometimes you don’t like the sample and you walk away. Either way, isn’t it better that you tried? I’m game. I’m not a lover of milk (wink wink), but I’ll try it since you are offering. Let me know how you like the course. 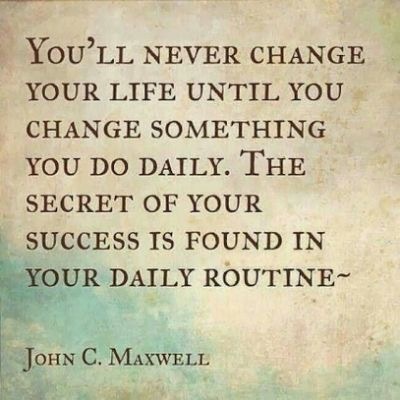 I love the quote about not changing until you change something in your daily life. I really believe this is true! Thanks for reading Lisa. It resounded with me when I saw it. I am going to check out your page now too. This definitely applies to me and my post today about needing to change my habits to see results. I completely agree with you, you never know until you try! Thanks for reading, Nadine. I’m so glad our posts are in sync. 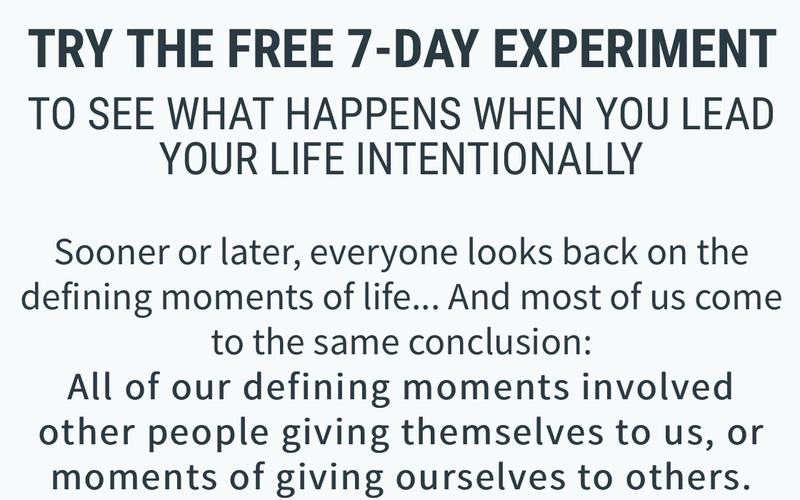 That might be a sign that we’re on the cusp of a breakthrough 😀 If you sign up for the free 7 day course, let me know if it helps. I know exactly what you mean. When it touches my pocket, the level of commitment goes to infinite. I’m working with a Life Coach and it has been extremely helpful to clarify my goals and objectives. I’m looking forward how things are going to go for you. Thanks a lot for sharing this tip on #tiptuesday.